Celebrate the opening of the New Gallery for the Art of Native North America on November 14 with these programs. Friday, November 16, 10:00 a.m.
Tuesday, November 27, 10:00 a.m.
Wednesday, December 12, 10:00 a.m.
Tuesday, November 20, 2:00 p.m.
Thursday, November 29, 2:00 p.m. If you enjoyed receiving news about The Metropolitan Museum of Art, we invite you to sign up for our free email newsletters. See My Met Museum. This entry was posted by William Hanley	on Friday, October 12th, 2007 at 8:03 am. A number of talks and activities will be taking place in conjunction with the ongoing special exhibition "Eternal Ancestors: The Art of the Central African Reliquary." The listing below is current as of this posting. For the latest information, Search Calendar for Events. These free weekend lectures are available to Members at the Family/Dual, Sustaining, Contributing, Donor, Sponsor, Patron, Patron Circle, and President's Circle levels. Admission to the lecture is free, but tickets are required. You may reserve a ticket by calling 212-650-2819 or by presenting a valid Membership card at the entrance to the Grace Rainey Rogers Auditorium. If additional tickets are available at the time of the lecture, Members at all levels are welcome. See Membership for more information about Membership levels and benefits. 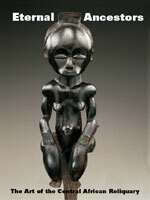 An afternoon of lectures examines the legacy of one of Africa's greatest artistic movements. The lectures address the larger significance of the region's most celebrated works by considering the historical context and spiritual impetus for their creation, their impact on the Western avant-garde, and parallels with other major world traditions. Scheduled speakers include: Alisa LaGamma, Curator, Department of the Arts of Africa, Oceania, and the Americas, The Metropolitan Museum of Art; Barbara Drake Boehm, Curator, Department of Medieval Art and The Cloisters, The Metropolitan Museum of Art; Denise Patry Leidy, Curator, Department of Asian Art, The Metropolitan Museum of Art; Kairn Klieman, Associate Professor of History, University of Houston; and Jack Flam, Distinguished Professor of Nineteenth- and Twentieth-Century European and American Art, Graduate Center of the City University of New York. 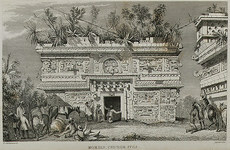 For more information, including lecture titles and times, please consult the online calendar at www.metmuseum.org, call (212) 396-5460, or contact lectures@metmuseum.org. Meet at exhibition entrance, Special Exhibition Galleries, first floor, adjacent to the Greek and Roman Galleries. Subject to change. Sunday, September 16, 11:00 a.m.
Sunday, October 7, 1:00 p.m.
Sunday, September 30, 11:00 a.m.
Saturday, October 6, 11:00 a.m.
Sunday, September 30, 1:00 p.m.
Sunday, October 14, 11:00 a.m.
Thursday, October 25, 2:00 p.m.
Tuesday, October 30, 2:00 p.m.
A group of carvers in western Kenya are looking forward to the first Simpsons movie hitting big screens around the world, even though they are unlikely to see it. Although most of them in the remote village of Tabaka in Kisii have never watched the animated TV show, Homer, Marge, Bart, Lisa and Maggie have changed their lives and the new film should see demand for their work soar they hope. Soapstone carving is a traditional craft passed down from generation to generation, and the Abagusii tribe is renowned for their carving prowess. 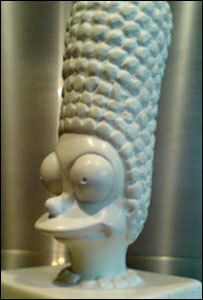 So when Twentieth Century Fox designated the Tabaka soapstone carvings as official Simpsons merchandise in July 2006, their lives improved overnight. The Tabaka Classic Carvers are licensed to produce 12 models of the show's characters, and they are keen to expand their portfolio. "I don't know who they are," she says about the dysfunctional cartoon family. "But I like them because I earn from them." BAM celebrates 30 Years of DanceAfrica with a kaleidoscope of dance, music, film, and art. New this year: a showcase of spoken word, dance and music inspired by the spirit of Africa and an archival retrospective. Join us Memorial Day weekend to honor America’s largest festival of African and African-American culture and another joyous milestone: the 70th birthday of Artistic Director Baba Chuck Davis. Featuring Ndere Troupe of Uganda, Forces of Nature Dance Theatre Company, Kulu Mele African American Dance Ensemble, Bambara Drum and Dance Ensemble, Sabar Ak Ru Afriq Dance Theatre, and BAM/Restoration DanceAfrica Ensemble. The one-and-only open-air bazaar features African crafts, food, and fashion—and an exciting premiere: a live showcase of poets, dancers, and music inspired by the spirit of Africa. Exhibitions include The Colors of 30 Years of DanceAfrica by artist D. Lammie-Hanson, the African Ancestral Altar, the African Sculpture Garden, and an archival retrospective by BAMart and MoCADA in the 80 Hanson Place lobby. Gokh-Bi (Go-Bee) System merges political rhymes with the sounds of Senegal for hip-hop you haven’t heard before. Dance workshops for all and a community partnership with Bedford Stuyvesant Restoration Corporation. This workshop explores two questions: how has film shaped Pacific history and understandings of Pacific pasts? and how do – or might – Pacific historians engage with the medium of film? Although film in the Pacific dates back to the late 19th century and is now increasingly the medium through which Pacific pasts are encountered by both Pacific and local audiences, Pacific historians (with a few notable exceptions) have rarely engaged with film and even fewer have been directly involved with film production. * Pacific pasts and history through film – on the use of film as a source material; as an approach to researching and representing history; and as a means of communicating to audiences. Presentations on this last theme will especially serve postgraduate students, filmmakers and historians who have pioneered the use of film or wish to make greater use of it; and teachers and academics guiding and assessing students who want to use film in their research or theses. A program of screenings is planned in association with the workshop and participants will have the opportunity to visit film repositories in Canberra. 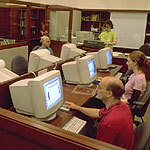 The deadline for the submission of abstracts (no more than 200 words) is 31st May 2007. Please forward abstracts and any inquiries to the convenors chris.ballard(at)anu.edu.au or Vicki Luker vicki.luker(at)anu.edu.au. Attendance is open to all and registration is free, thanks to the support of the Division of Pacific and Asian History, Research School of Pacific and Asian Studies, ANU. 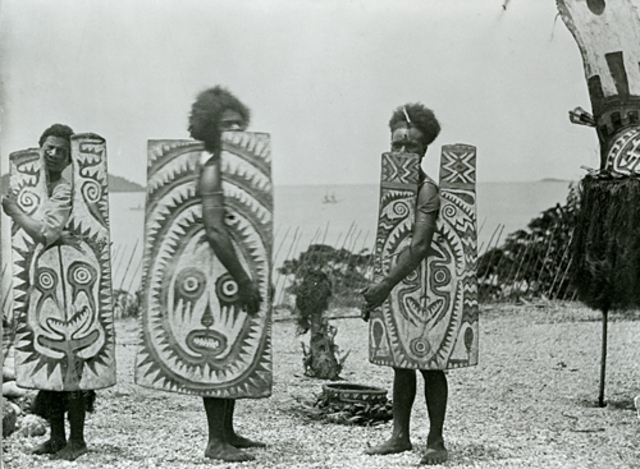 and how they expand our knowledge of the history of art and photography in the Pacific. call (212) 396-5460, or contact lectures@metmuseum.org. This symposium is made possible by The Billy Rose Foundation, Inc. 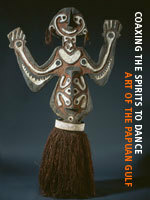 The exhibition Coaxing the Spirits to Dance: Art of the Papuan Gulf is on view at The Metropolitan Museum of Art until December 2, 2007. The exhibition is made possible by the William Randolph Hearst Foundation. It was organized by the Hood Museum of Art, Dartmouth College, in collaboration with The Metropolitan Museum of Art, New York. Programs occur in The Grace Rainey Rogers Auditorium, The Metropolitan Museum of Art, 1000 Fifth Avenue, New York, NY. 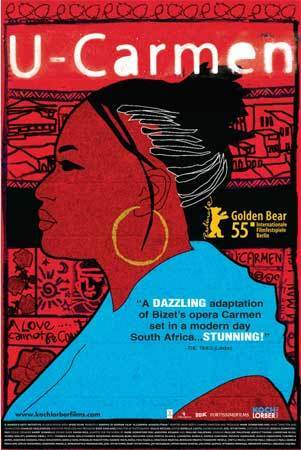 Carmen, perhaps the world’s best-loved opera, with its story of love, jealousy, revenge and madness, is set in a sprawling South African shantytown, and sung in Xhosa! George Bizet’s 19th century spectacle is re-imagined in a naturalistic world of pool halls, bars, courtyards and barracks. The seductive, boisterous Carmen (who works in a cigarette factory), is sung with tremendous charisma by Pauline Malefane. When she sets her sights on a Bible-reading policeman, he doesn’t stand a chance. Rarely has an opera been made more modern, relevant or vibrant than in this stunning interpretation, featuring Dimpho Di Kopane (DDK), the internationally acclaimed South African theater company. 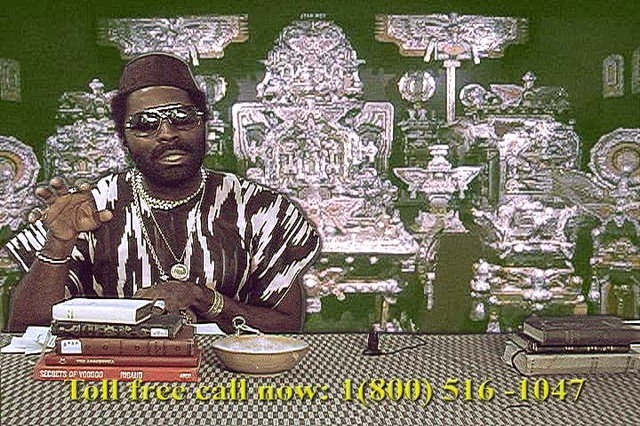 In 2007, we celebrate the 50th anniversary of the independence of Ghana––the first sub-Saharan nation to gain independence from colonial rule––with an especially strong lineup for the 14th New York African Film Festival. With 47 features, documentaries and shorts from 20 countries ranging from Algeria to South Africa, the festival will once again serve to dismantle long held notions and prejudices about African society, expanding and challenging Americans' perceptions of tradition, modernity and the role of women. 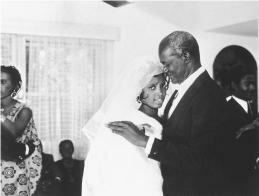 As a special feature this year, we offer a unique selection of rarely seen archival footage, ranging from colonial propaganda films to newsreels made at the very moment of independence; remarkable if at times unsettling images of Africa and Africans that remind us of the immeasurable importance of self-representation. Filmmakers and other guest speakers will be on hand to present their work during the festival (those shows are indicated by an asterisk in the Program Overview). On Monday, Apr. 9, the African Film Festival will present its annual roundtable discussion at the Furman Gallery, a chance for audiences and filmmakers to explore and discuss in further detail the guiding themes of the 2007 festival, as well as the complex and multifaceted role of cinema in postcolonial, national and pan-African liberation. The festival continues at the Bronx Museum of the Arts on Apr. 20 and 21 and at the Brooklyn Academy of Music’s BAMcinematek, May 25 through 28. Films for the 14th New York African Film Festival are in English except where noted. All non-English films are subtitled in English.